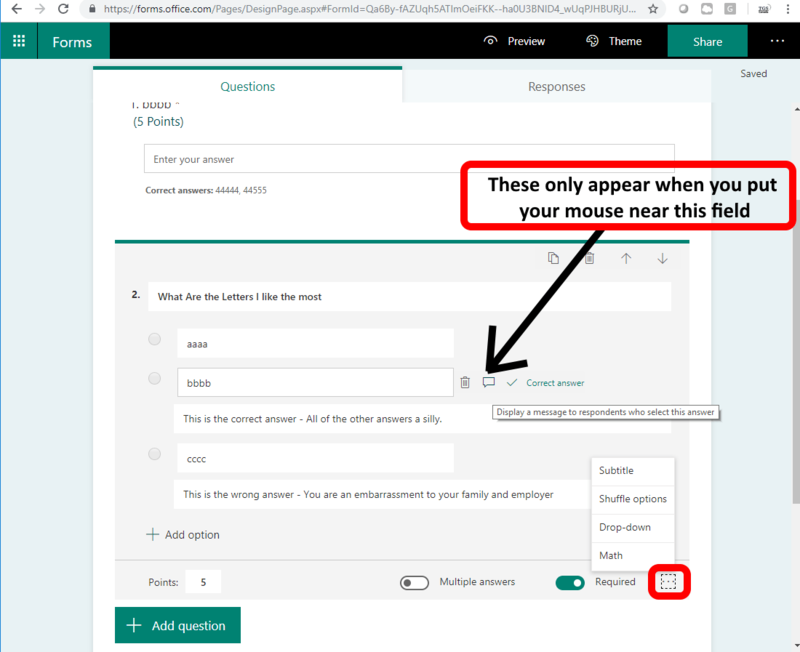 Microsoft Forms at Forms.Office.com is a simple survey tool that now offers a NEW FORM and NEW QUIZ option. What is the difference between a FORM and a QUIZ? When you create a quiz or form they look the same because the CORRECT ANSWER dialog box and check box only appear when you put your mouse over the answer. As you can see in the QUIZ screen shot to the right, you are not required to flag a question as CORRECT or to enter a comment (look at option aaaa).